S John Bosco: "great is the goodness"
which, toward those who take refuge in you, you show in the sight of the children of men. The family should live in such a way that its members learn to care and take responsibility for the young, the old, the sick, the handicapped, and the poor. There are many families who are at times incapable of providing this help. It devolves then on other persons, other families, and, in a subsidiary way, society to provide for their needs: "Religion that is pure and undefiled before God and the Father is this: to visit orphans and widows in their affliction and to keep oneself unstained from the world." Monday, Wk 4: "Legion is my name. There are many of us." "Unclean spirit, come out of the man!" "A prophet like me will the LORD, your God, raise up for you from among your own kin." I don't know about prophets, but from my "kin" God has raised up some of my best critics. Let me tell you what I mean. I have a sibling, name withheld to protect the innocent, who is very good at detecting when I am not listening to her. Sometimes she will stop talking in mid-sentence in order to call me to account, or tell me that she will stop talking to me until I decide to be present to her and truly listen willingly to her, forcing me to examine my behavior. I sometimes don't react well to her honesty, and get irritated sometimes that she forces me to look with such clarity at myself and the ways in which I need to work harder at being "present" to her and others. Perhaps you have such honest people in your life, too. And though they sometimes get under your skin, in your more reflective moments you probably, as I often do, give thanks for such people who demand your best self. And as I do, you are probably thankful that they speak in truth and love. And because of this, they have "authority", we trust them to tell us what we really need to hear, to help us see ourselves as we really are. Because of such persons we are able to gain the hope that comes from knowing what we must change about ourselves to be real, to be whole, to be good. Now, as for raising up prophets from among our "kin": it turns out that God in fact does this. A prophet is not someone who, in the first case, predicts the future like a soothsayer or a fortune teller but, in fact, is someone who is willing even to sacrifice himself in order to speak the harsh truth to those to whom he is sent. So, it turns out the sibling I described is, in fact, a prophet: he or she stands as a mirror before others in unflinching honesty to speak the truth that the other needs to hear without regard for self. God has sent prophets to speak the truth for Him before the people throughout salvation history just as we hear in our first reading. God promises He will provide such truth tellers in order to serve the good of the people. And these prophets did irritate and sometimes anger the people as sometimes do those who do us the service of speaking the truth in our own lives. At times this anger reaches such a crescendo that it results in the death of the prophet. Christ is the "prophet" God has raised up to speak in the Church until the end of world. And He is sometimes attacked just as He was when He died on the Cross. 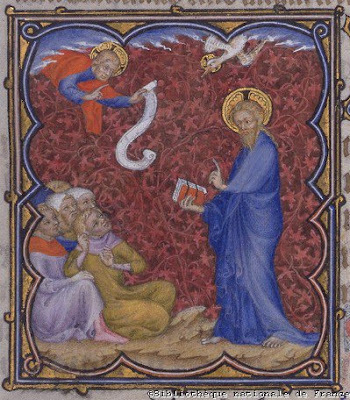 Those who are sent today by Him are the Holy Father in Rome and the bishops who speak the truth with His voice to the great and the small, to the powerful and the little ones of the earth as He promised: "Go, and teach all nations" and "I give you the Holy Spirit to lead you into all the truth". And for this gift the bishops and the Church sometimes earn the hatred and vituperation of the world. 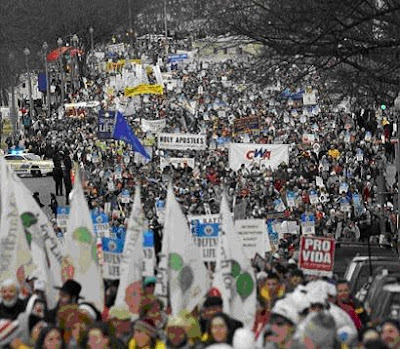 The Lord's role of prophecy, of speaking the inconvenient and unwanted truth, is being carried out right here and now by our bishops who decry and vow to fight the latest attacks by our government upon our God-given right to religious freedom. I urge you to read Cardinal Wuerl's letter in which he, as a prophet of God, stands before the Church and the world to proclaim the truth that "There can no longer be any doubt that religious liberty in our country is in jeopardy." 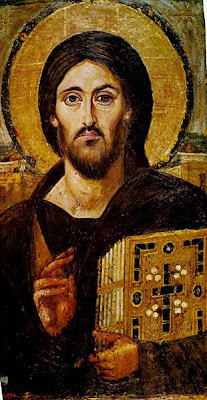 Let us listen to the voice of Christ who speaks here and now through the Church shedding the harsh glare of honesty born of love with His Divine authority to save us from sin. We go forward to share His voice by speaking the truth in union with our bishop and the Holy Father, sharers in the prophetic mission of the Church for the salvation of the world in Jesus Christ. "What is this? A new teaching with authority. He commands even the unclean spirits and they obey him." S. Thomas Aquinas: "after you had been enlightened"
Faith in God the Father Almighty can be put to the test by the experience of evil and suffering. God can sometimes seem to be absent and incapable of stopping evil. But in the most mysterious way God the Father has revealed his almighty power in the voluntary humiliation and Resurrection of his Son, by which he conquered evil. Christ crucified is thus "the power of God and the wisdom of God. For the foolishness of God is wiser than men, and the weakness of God is stronger than men." It is in Christ's Resurrection and exaltation that the Father has shown forth "the immeasurable greatness of his power in us who believe". "Faith is a foretaste of the knowledge that will make us blessed in the life to come" (St. Thomas Aquinas. Comp. theol. 1, 2). Art: The Apotheosis of St. Thomas Aquinas, 1631, Francisco de Zurbaran, Museo de Bellas Artes, Seville, Spain. Saint Angela Merici. "We should not stay away from our assembly"
The word "Church" (Latin ecclesia, from the Greek ek-ka-lein, to "call out of") means a convocation or an assembly. It designates the assemblies of the people, usually for a religious purpose. Ekklesia is used frequently in the Greek Old Testament for the assembly of the Chosen People before God, above all for their assembly on Mount Sinai where Israel received the Law and was established by God as his holy people. By calling itself "Church," the first community of Christian believers recognized itself as heir to that assembly. In the Church, God is "calling together" his people from all the ends of the earth. The equivalent Greek term Kyriake, from which the English word Church and the German Kirche are derived, means "what belongs to the Lord." Saint Francis de Sales, bishop and doctor of the Church: "to preach"
The Roman Pontiff and the bishops, as authentic teachers, preach to the People of God the faith which is to be believed and applied in moral life. It is also incumbent on them to pronounce on moral questions that fall within the natural law and reason. '[God] does not want each person to keep all the counsels, but only those appropriate to the diversity of persons, times, opportunities, and strengths, as charity requires; for it is charity, as queen of all virtues, all commandments, all counsels, and, in short, of all laws and all Christian actions that gives to all of them their rank, order, time, and value. (St Francis de Sales, Love of God 8,6)' "
Day of Penance for Violations to the Dignity of the Human Person: "Choose Life"
January 23, 2012, is a national day of penance for violations to the dignity of the human person committed through acts of abortion, and of prayer for the full restoration of the legal guarantee of the right to life. “I am the way and the truth* and the life. No one comes to the Father except through me." S. Agnes. "I will forgive their evildoing"
... and remember their sins no more. 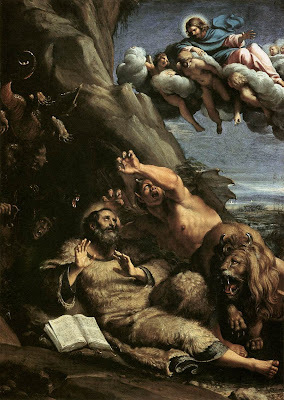 After agreeing to baptize him along with the sinners, John the Baptist looked at Jesus and pointed him out as the "Lamb of God, who takes away the sin of the world". By doing so, he reveals that Jesus is at the same time the suffering Servant who silently allows himself to be led to the slaughter and who bears the sin of the multitudes, and also the Paschal Lamb, the symbol of Israel's redemption at the first Passover. Christ's whole life expresses his mission: "to serve, and to give his life as a ransom for many." 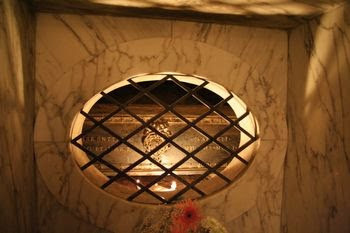 Photo: Tomb of Saint Agnes, Basilica of Saint Agnes outside the Walls, Roma. For more info, click here. Ss Fabian and Sebastian: "Jesus is always able to save"
Thursday, Week 2: "the LORD brought about a great victory"
whenever unclean spirits saw him they would fall down before him and shout, "You are the Son of God." Victory over the "prince of this world" was won once for all at the Hour when Jesus freely gave himself up to death to give us his life. This is the judgment of this world, and the prince of this world is "cast out." "He pursued the woman" but had no hold on her: the new Eve, "full of grace" of the Holy Spirit, is preserved from sin and the corruption of death (the Immaculate Conception and the Assumption of the Most Holy Mother of God, Mary, ever virgin). "Then the dragon was angry with the woman, and went off to make war on the rest of her offspring." Therefore the Spirit and the Church pray: "Come, Lord Jesus," since his coming will deliver us from the Evil One. Wednesday, Week 2: "Stretch out your hand." Saint Anthony, Abbot: "beset by weakness"
Art: Agostino Caracci, The Temptation of Saint Anthony, Abbot. Monday Week 2: "Obedience is better than sacrifice"
"At that time Samuel was not familiar with the LORD, because the LORD had not revealed anything to him as yet." I had a boss in the Navy who would invite me out to have lunch with him every once in a while. I realized that he did this because he felt we were becoming "unfamiliar" to each other, that we were drifting apart somewhat in our daily routine at the military chapel, that our communication was suffering, and that our working relationship might also become weakened or harmed as a result and the people whose lives of Faith we served together might be the worse for it. As we would sit together over a meal, doing the very humble and basic task of satisfying our hunger and taking in the physical nourishment that keeps us alive, we would at the same time rediscover the humanity in each other and begin again to communicate in the words that reveal the self and the interior life. We became more familiar with each other because we engaged in an activity that enabled us to better and more fully "reveal" ourselves to one another. In order to accomplish this, however, it was necessary that we leave other things aside in order to "be with" one another at the table for a meal. Within the family, too, relationships can become distant because of travel for work or other reasons, because of a schedule that places increasing demands for time and attention upon the spouses and the children, or because of other factors such as computer and internet use or video gaming that consumes more and more of one's time. In light of these factors the "familiar", which should be characteristic of the family and their shared life and the primary focus within the home, can diminish and suffer. When the relationships suffer, the love that should nourish and grow within the family can wither and can die. The word "familiar" and the word "family" share a common root, both denoting the intimacy proper to that constellation of particular relationships which flow from the privileged way in which man and woman within marriage are called to "reveal" themselves to one another in the most intimate marital act from which can result the new life of a child. Marriage and the family reveal for us in the most dramatic and compelling way how "becoming familiar" with another results from the choice for one person to "reveal" himself or herself to another. At the heart of this revealing of selves between two persons there must be love. But love to remain true to itself must be nourished so that it might grow. Thus, the "revealing" which lies at the heart of intimacy and makes two different people "familiar" in a physical and spiritual oneness and the source of a family, demands daily attention and effort so that its promise might be fulfilled. One must continually make choices to reach out and reveal oneself through words and deeds in order to remain familiar: a phone call, a visit or a meal made possible by saying no to other choices that may be good or interesting or compelling but that cannot nourish the interpersonal relationships that are necessary with those whom come first in our lives. In the Gospel two men are curious about Jesus. The like what He says, want to know Him and hear more of what He has to say. In respect for His wisdom and goodness they confer the title "Rabbi" upon him as they ask: "where are you staying?" They know that they must spend time with Him if He is to reveal more about Himself and if they are to become more familiar with Him. And they receive an invitation: "Come and see". Come and see where I am staying and decide for yourselves if you will choose to remain, to be with Me and to come to know Me. These men, already students or disciples of the Lord by desire, have heard what He has to say and are ready for the next step: they want to become familiar with Jesus, but for in order for this to happen they must allow Him to reveal Himself; they must be with Him. And He invites: "Come and see." You and I must hear the words of Christ, His teachings and His wisdom, as light and truth for our lives and direction for our steps, and we do so above all in the liturgy of the Word at every holy Mass. And we, like the disciples in the Gospel reading, must also seek more: to not only hear Christ but also to be with Him, to live with Him and to make room in our lives so that He can live with us. This begins for us in the Sacraments, above all in the Eucharist. It is in sacramental encounter that we enjoy true intimacy with our Divine Lord and Savior, dwelling with Him in the familiarity of a love nourished by His self-revealing. It is in the gift of His Body and Blood that Christ continually provides for us, as He did for the first disciples, the opportunity to "come and see" Him and to remain with Him. 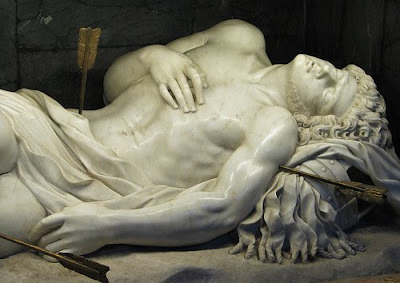 And it is through His self-giving that we are transformed as was Simon, a fisherman, into Peter, the first Pope and the rock upon which Jesus has built the Church, that place of faith where God reveals Himself in Christ so that we may be always with Him in the familiarity of love, now and forever. Blessed Virgin Mary on Saturday: "Follow me." there were many who followed him. Throughout her life and until her last ordeal when Jesus her son died on the cross, Mary's faith never wavered. She never ceased to believe in the fulfillment of God's word. And so the Church venerates in Mary the purest realization of faith. Thursday, Week 1: "make me clean." "When we made our first profession of faith while receiving the holy Baptism that cleansed us, the forgiveness we received then was so full and complete that there remained in us absolutely nothing left to efface, neither original sin nor offenses committed by our own will, nor was there left any penalty to suffer in order to expiate them. . . . Yet the grace of Baptism delivers no one from all the weakness of nature. On the contrary, we must still combat the movements of concupiscence that never cease leading us into evil "
Wednesday, Week 1: "that I may preach"
For this purpose have I come. 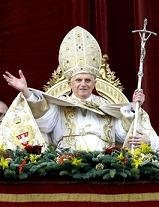 The supreme degree of participation in the authority of Christ is ensured by the charism of infallibility. This infallibility extends as far as does the deposit of divine Revelation; it also extends to all those elements of doctrine, including morals, without which the saving truths of the faith cannot be preserved, explained, or observed. ...My favor rests on Him." (Matthew 3:13-17) The waters of Haditha Dam in Iraq are a crushing power that might strike fear in the heart of man. But in Christ the abundant waters of baptism become for we who are faithful instead the source of Life eternal. The Father reveals for us that Christ is His Son: "Here is my Servant whom I uphold, my Chosen One in whom My soul delights". (Isaiah 42) Thus we follow in trust the voice of the Lord our Shepherd in the truth sounding in His Church for the salvation of the world. Meeting Christ in the Liturgy offers a reflection for the Feast of the Baptism of the Lord. Second, a humble and trusting heart that enables us "to turn and become like children": for it is to "little children" that the Father is revealed. [The prayer is accomplished] by the contemplation of God alone, and by the warmth of love, through which the soul, molded and directed to love him, speaks very familiarly to God as to its own Father with special devotion. Our Father: at this name love is aroused in us . . . and the confidence of obtaining what we are about to ask. . . . What would he not give to his children who ask, since he has already granted them the gift of being his children? Epiphany: "the mystery was made known"
... to me by revelation. Meeting Christ in the Liturgy offers a reflection for the Feast of the Epiphany. 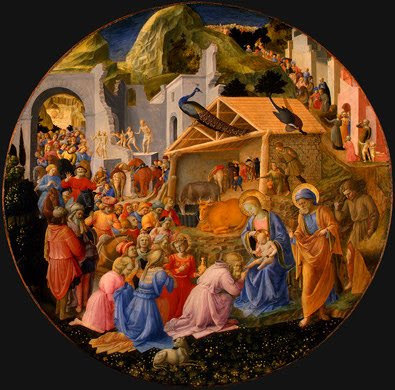 Art: Fra Angelico and Fra Filippo Lippi,The Adoration of the Magi, c. 1440/1460. Samuel H. Kress Collection 1952.2. Saint John Neumann: "Love is of God"
But St. John goes even further when he affirms that "God is love": God's very being is love. By sending his only Son and the Spirit of Love in the fullness of time, God has revealed his innermost secret: God himself is an eternal exchange of love, Father, Son and Holy Spirit, and he has destined us to share in that exchange. 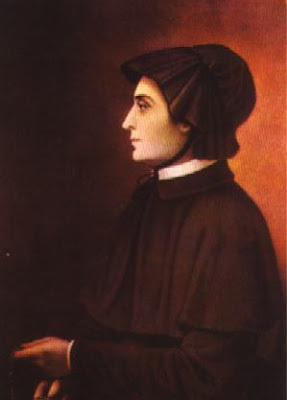 S. Elizabeth Ann Seton: "Beloved"
We receive from him whatever we ask, because we keep his commandments and do what pleases him. The first movement of the prayer of petition is asking forgiveness, like the tax collector in the parable: "God, be merciful to me a sinner!" It is a prerequisite for righteous and pure prayer. A trusting humility brings us back into the light of communion between the Father and his Son Jesus Christ and with one another, so that "we receive from him whatever we ask." Asking forgiveness is the prerequisite for both the Eucharistic liturgy and personal prayer. The Most Holy Name of Jesus: "Behold, the Lamb of God"
Ss. 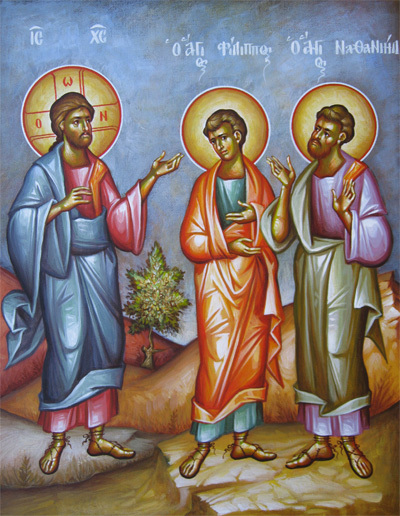 Basil and Gregory: "this is the promise that he made us"
But his anointing teaches you about everything and is true and not false; just as it taught you, remain in him. The notion of anointing suggests . . . that there is no distance between the Son and the Spirit. Indeed, just as between the surface of the body and the anointing with oil neither reason nor sensation recognizes any intermediary, so the contact of the Son with the Spirit is immediate, so that anyone who would make contact with the Son by faith must first encounter the oil by contact. In fact there is no part that is not covered by the Holy Spirit. That is why the confession of the Son's Lordship is made in the Holy Spirit by those who receive him, the Spirit coming from all sides to those who approach the Son in faith. 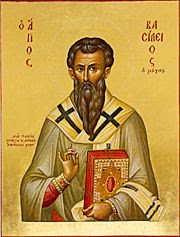 Art: Icon of Saint Basil. Source OrthodoxWiki.